The 20th Annual Stellar Awards show took place on Saturday, January 15, 2005, in Houston, TX and Detroit Gospel.com was on the scene. 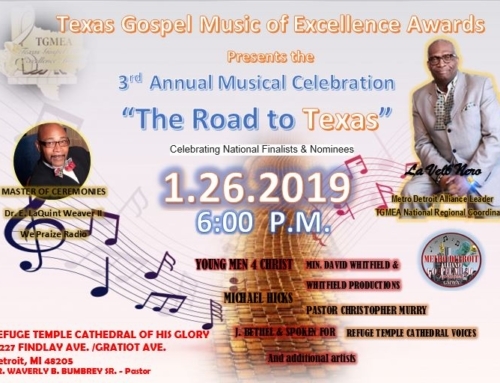 Three of our staff, Renee’, Karen Hunt-Barker, and Brenda Underwood, left for Houston the morning of the 13th and their flight was just the beginning of a gospel star-studded weekend. Flying with them to Houston were none other than J. Moss and Paul D. Allen (of P.A.J.A.M. ), Lowell Pye from Men of Standard, and Black Gospel Promo’s Veda Brown. Detroit was well represented on this year’s Stellar Awards ballot and Detroit’s own Deborah Smith Pollard (WJLB FM98 “Strong Inspirations” radio host) was named “Gospel Announcer of the Year.” She received her award during the Thursday night “Kick-off Dinner.” Other home grown nominees were celebrated during Friday night’s “Nominee Dinner.” These included Fred Hammond (with 6 nominations), Karen Clark-Sheard, God’s Little Soldiers, Straight Gate Mass Choir, Deitrick Haddon, CeCe Winans, P.A.J.A.M., and Lowell Pye of Men of Standard. 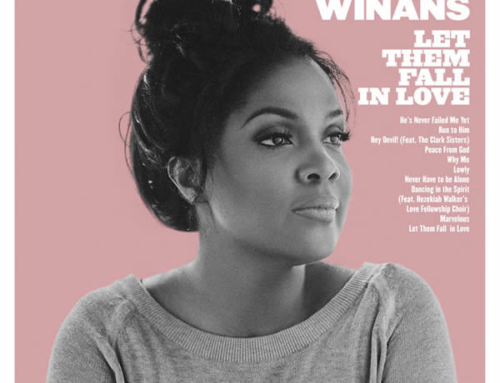 Saturday night’s Stellar Awards show was described as a “who’s who” of gospel music’s finest artists. Artists demonstrated an outpouring of love and support for each other across denominational, regional, and racial boundaries. Attendees commented that is was, “like family.” The performances were described as phenomenal and the entire weekend was very exciting to be a part of. 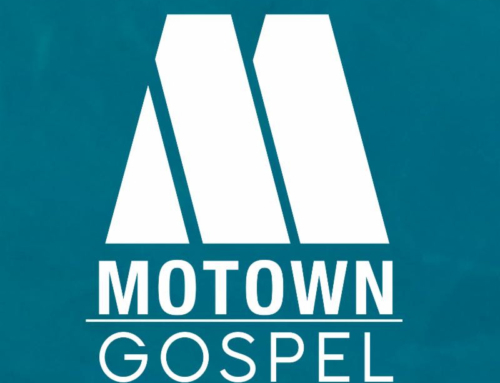 Detroit winners this year included Fred Hammond for Producer of the Year, CeCe Winans for Female Vocalist AND Contemporary Female Vocalist of the Year, and Deitrick Haddon and Voices of Unity for Contemporary Group/Duo of the Year. CLICK HERE for the complete listing of winners from the 20th Annual Stellar Awards. Detroit Gospel.com thanks Renee’, Brenda, and Karen for all of their hard work while at the Stellars. These dynamic ladies were blowin’ up the name of “Detroit Gospel.com” in and around the Stellar Awards show. It was reported back by other media present that the ladies “took over” the photo room (all in love). They came home with 4 rolls of film, over 100 digital pictures, and taped interviews with some of gospel’s finest, so look for more exclusive photos on the website coming soon. Watch the 20th Annual Stellar Awards in Detroit on Saturday, February 19, at 11PM on CBS-62.